A couple of days ago, we heard a rumor about Samsung developing an Exynos 8870 system-on-chip that would be sold for use to other manufacturers. Meizu is being toted as a possible candidate for such a deal, as the two companies already have a partnership rekindled around the Meizu PRO 5, which has an Exynos 7420 humming underneath its metallic hood. The rumored Exynos 8870 is supposed to be an underclocked doppleganger of the upcoming powerhouse Exynos 8890 – the SoC that will be powering at least half of the upcoming Galaxy S7 devices (the other half will, reportedly, have a Snapdragon 820 in them). 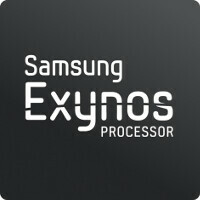 Another rumor reaffirming the planned existence of an Exynos 8870 surfaced today. A leakster's profile on Chinese social website Weibo claims that Lenovo will also be using Samsung's silicone in an unknown smartphone. Whether the alleged handset will be meant for international markets is yet up in the air. Lenovo is quite shy about selling its smartphones in the Western Hemisphere, preferring to focus on the Chinese, Indian, and Malaysian markets instead. The company is currently preparing a launch of a hot new midranger in India – the affordable Lenovo K4 Note, a direct successor of the very popular (in the East) Lenovo K3 Note. We can't help but think, however, that an alleged Exynos 8870-equipped smartphone would actually be an attempt at a hard-hitting flagship, which Lenovo might just try to push internationally. The Exynos 7420 is a definite contender for the top spot of 2015 SoCs and we really enjoyed its performance in both the Galaxy S6 (and all its top-end siblings) and the Meizu PRO 5. The prospect of seeing the Exynos family expand to other companies' devices is definitely exciting and we're curious to see just how many OEMs will add some Samsung stuffing in their 2016 smartphones. Now we're talking business.. Exynos will be a force to recon with. But I sure hope Samsung releases the Exynos sources to public. just slap this SOC on a 5 inch full hd smartphone with 3000mah+ battery and 3-4 gigs of ram and camera sensor to be of sony with IMX240 with a price tag below 400 dollars will be a huge hit in China, India, US, Europe. How about selling it to Apple?!! More like iOS would not be able to use the full power of that SoC, maybe manage to be up to 50%. iOS can't push the 8870 to it's limits, without full multitasking. It is optimized for what it does, but I the other hand, it undeniably does less. Can't push to it's limits? Android can't even push the exynos 8870 to its limits cause its a 32 bit OS with a majority of 32 bit apps and not a 64 bit apps. Horsepower? Apple is already 3 years handling both 64 bit OS and processor. I don't see any reason why shouldn't be able to handle that much power since its the same co processor they were using in A chipsets. ZUK Z2! Z1 is great.